We can live our lives seeking the best car, home, or the next job promotion, yet how many times do we hear of the suicide of a rich and famous person? In the eyes of the world having it all means we have achieved all this life can give us, but God does not leave us destitute in His provisions and know exactly what we need. When we seek His kingdom we are given the best this life offers through Him(Matthew 6:25-34). 25 Therefore I say unto you, Take no thought for your life, what ye shall eat, or what ye shall drink; nor yet for your body, what ye shall put on. Is not the life more than meat, and the body than raiment?26 Behold the fowls of the air: for they sow not, neither do they reap, nor gather into barns; yet your heavenly Father feedeth them. Are ye not much better than they?27 Which of you by taking thought can add one cubit unto his stature?28 And why take ye thought for raiment? 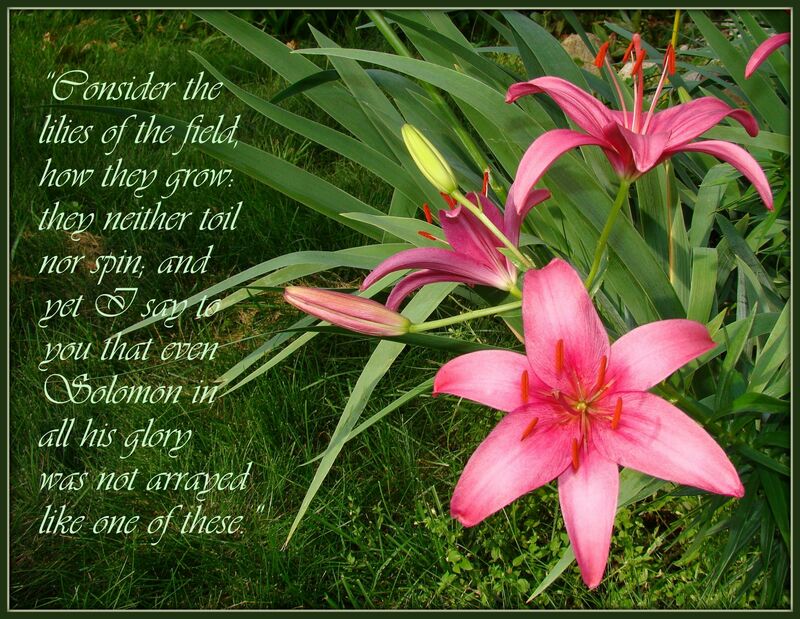 Consider the lilies of the field, how they grow; they toil not, neither do they spin:29 And yet I say unto you, That even Solomon in all his glory was not arrayed like one of these.30 Wherefore, if God so clothe the grass of the field, which to day is, and to morrow is cast into the oven, shall he not much more clothe you, O ye of little faith?31 Therefore take no thought, saying, What shall we eat? or, What shall we drink? or, Wherewithal shall we be clothed?32 (For after all these things do the Gentiles seek:) for your heavenly Father knoweth that ye have need of all these things.33 But seek ye first the kingdom of God, and his righteousness; and all these things shall be added unto you.34 Take therefore no thought for the morrow: for the morrow shall take thought for the things of itself. Sufficient unto the day is the evil thereof. No one knows better what we have need of than the one who created us. The closer we walk with God the more we see Him within our life, He is our helper in times of need and will never leave nor forsake us! His provisions far exceed what we could gain in this life on our own.”But put ye on the Lord Jesus Christ, and make not provision for the flesh, to fulfil the lusts thereof”(Romans 13:14).